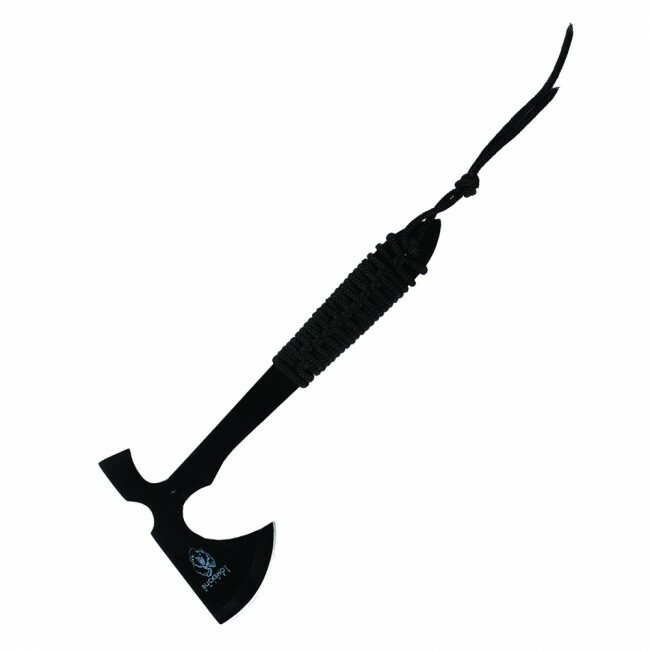 Tactical Tomahawk Throwing Axe H-78-4. 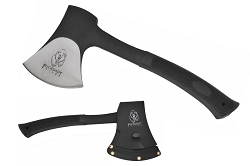 This axe features a tempered 420 stainless steel, one-piece full tang construction, black non glare finish with black nylon cord wrapping grip. 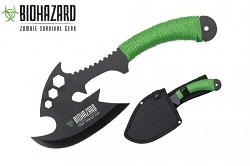 Included is a weather resistant black nylon sheath with belt loop and Velcro closure. 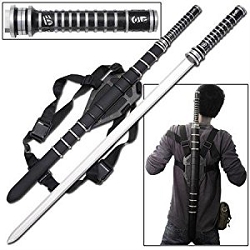 9" overall.